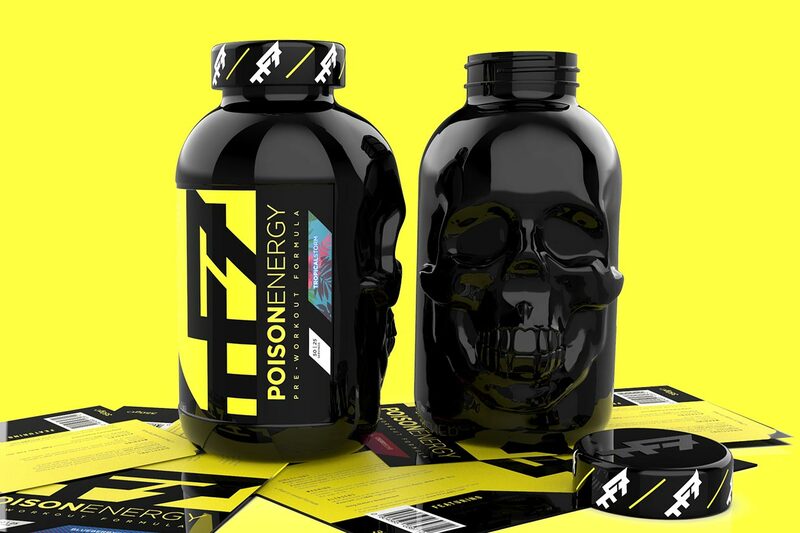 The UK company TF7 Labs who is well known for its creative, skull-shaped supplement bottles, has reformulated its pre-workout competitor Poison. The updated product is actually just the start of a complete brand overhaul that will involve more changes and tweaks to the TF7 Labs lineup of supplements. The biggest change the brand has made to its pre-workout Poison comes with the combination of ingredients that is packed into it. The product now contains a fairly hefty formula with well-dosed ingredients for increased energy, better concentration, clarity and focus, and long-lasting endurance. You can see the official facts panel for TF7 Labs’ revamped Poison directly above, which is fully transparent and openly lists the doses of each ingredient. The combination includes highlights such as 3g of betaine, 350mg juglans regia, a strong 400mg of caffeine, and a gram of lion’s mane. You also might notice that the new Poison doesn’t include any ingredients or blends to help with muscle pumps. That is actually quite fitting because TF7 Labs has confirmed that following the release of its updated pre-workout will be a pump specific supplement that can be stacked with Poison. Fans of TF7 Labs in the UK that like the look of the revamped Poison, can now pre-order the product at tf7labs.com for shipping on March 1st. A full 25 serving tub will cost you £34.99 with five flavors to choose from in Tropical Storm, Cola Chaos, Cherry Bomb, Blueberry Potion, and Lethal Liquorice.